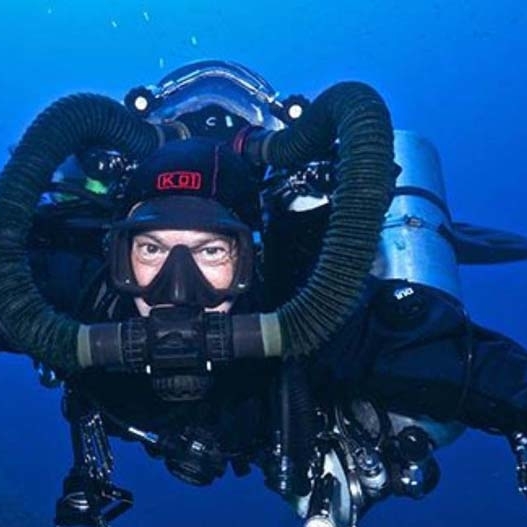 Active and passionate (RB80 and Cave 2 certified) diver and underwater photographer from several years he spends most of his free time in wreck and cave diving joining and contributing with photo documentation to several GUE projects (Egadi 2017, Lost Island 2015-2016, Sardinia 2014, Mediterranean Deep Corals 2012, Forza Lupi 2012, Jutland 2009, LST documentation 2009, Lampedusa 2007) and several articles on underwater magazines (GUE Quest, Wetnotes, Sub, Mondo Sommerso, Revista Inmersion, Duiken, Tauchen) . He’s also an active GUE recreational instructor, transferring during the training classes his knowledge and experience to the students. Currently he’s the president of Big Blue Xplorers, a no profit GUE affiliated Association, devoted to improve the GUE Community in Italy and he’s also Project Manager of Project Baseline Tyrrhenian Sea, with the focus of monitoring dive sites through underwater surveys, samplings and photographs and / or videos collected by the divers during their dives.